The 980498 Safety Enclosure is designed to provide external protection to Time Mark socket-mounted devices. 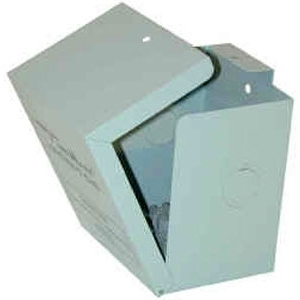 The enclosure is made of 20-gauge steel with a gray finish. Half-inch conduit and three-quarter inch conduit knockouts are provided on three sides. A standard 8-pin socket is pre-mounted inside the enclosure. 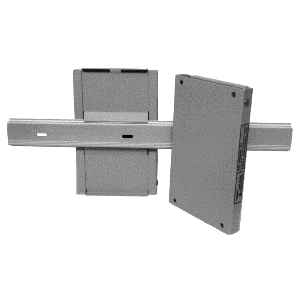 The door is hinged to allow easy mounting and access(Note: This product was previously designated as Model 98A498). The 980535 Hold Down Clamp is constructed of stainless steel brackets and is joined with a rubber O-ring. 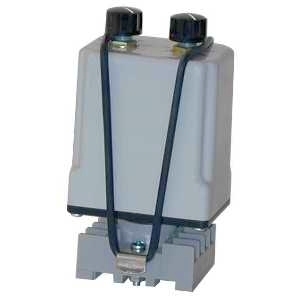 The clamp is designed to secure the socket-mounted relay against vibration. The Hold Down Clamp is attached to the socket with existing mounting hardware. These clamps are made to fit all Time Mark and Signaline socket-mounted relays (Note: This product was previously designated as Model 98A535). Time Mark’s Smart Socket is the first socket which will allow monitoring of voltages up to 635 VAC with a socket-mounted Time Mark phase loss relay. The appropriate relay will allow monitoring for phase loss, phase reversal, low voltage and high voltage conditions. A key safety feature of the Smart Socket is it will not allow the voltage potential at the pin connections to rise to the full input voltage when the relay is removed. Two versions for the Smart Socket are available: one for 480 VAC and one for 575 VAC applications. The Smart Socket is designed to be used only with the Models B246, 253, 257B and 258B. 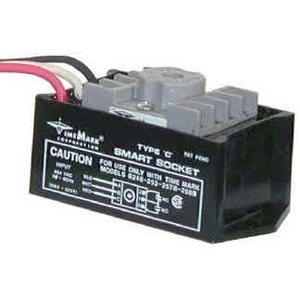 Each of these relays is covered by Time Mark’s exclusive 5-Year Unconditional Warranty (Note: This product was previously designated as Model 98A544). The DRA-1 DIN Rail Adapter is designed for quick attachment and detachment of various surface-mount devices onto a standard 35mm DIN rail. Four #8-32 mounting holes are located on the face of the Adapter support numerous models. The Adapter and grip plate are made of 20-gauge steel and assembled as one unit for durability. Constructed with two high-tension extension springs, the DRA-1 Adapter will securely fasten surface-mount enclosures to a standard 35mm DIN rail. The mounting hole pattern matches a standard Time Mark surface-mount enclosure.